Elisabetta De Nardo, VP Port Development, MSC Cruises and Chairman of CLIA’s European Port & Destination Advisory Committee, said: “Greece continues to be a region of great importance for the international cruise industry. In recent years, following geopolitical instability in other areas across the Mediterranean Sea, Greece has assumed an even more prominent role in Eastern Med cruise itineraries. Some of these opportunities include the impending legislation that kicks-off the 2nd phase of the Greek ports privatisation process, effectively allowing global cruise port operators to invest in cruise terminal concessions across the country, a much-awaited move likely to increase homeporting. These developments have also attracted the interest of leading cruise terminal operators, such as Global Ports, who will be present in Athens at the event. In response, the major US cruise lines have increased their 2019 Greek ports of call, and other niche players such as Disney Cruises, are resuming operations in the country as early as next year. Their itineraries include the ports of Piraeus and Katakolon, near ancient Olympia. 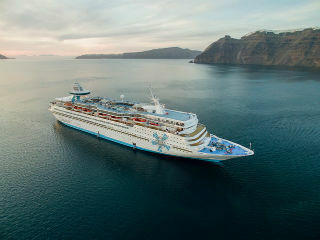 Also, the islands of Santorini, Mykonos and Crete have been announced as ports of call for the company’s 12-night and 9-night cruises next summer, following a five-year absence from the market. Disney has confirmed its participation at the Posidonia Forum and plans to meet with destinations as preparations for its return to the region have started. Buoyed by stronger tourist arrivals from North America, the renewed long-term commitment of US cruise operators to Greece is matched by a traditionally strong and fast-growing presence of European counterparts. MSC Cruises has some 400 calls in Greek port destinations in 2019, making this its busiest year for Greece. Many cruise lines are taking advantage of the popularity of Santorini and Mykonos, with the latter also securing many overnight calls for this summer season. 2020 will also see a return of a number of cruise lines to Turkey’s western coastline, as well as to Istanbul.